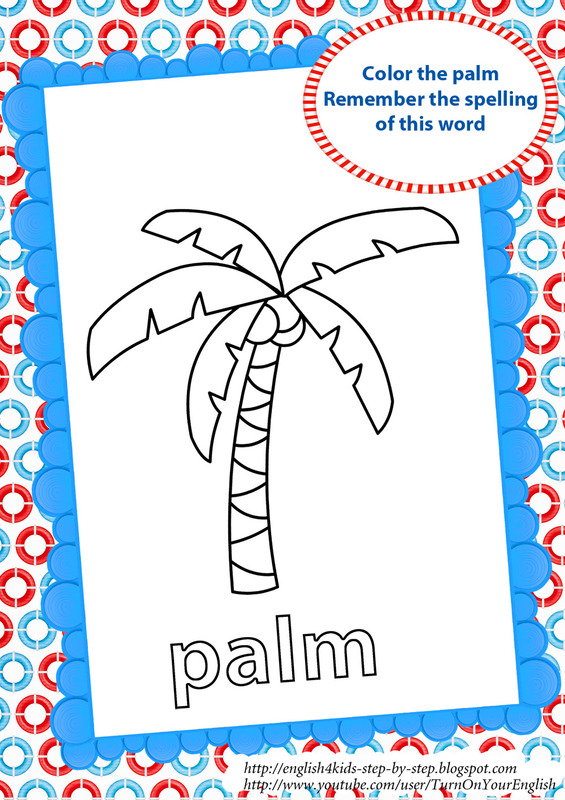 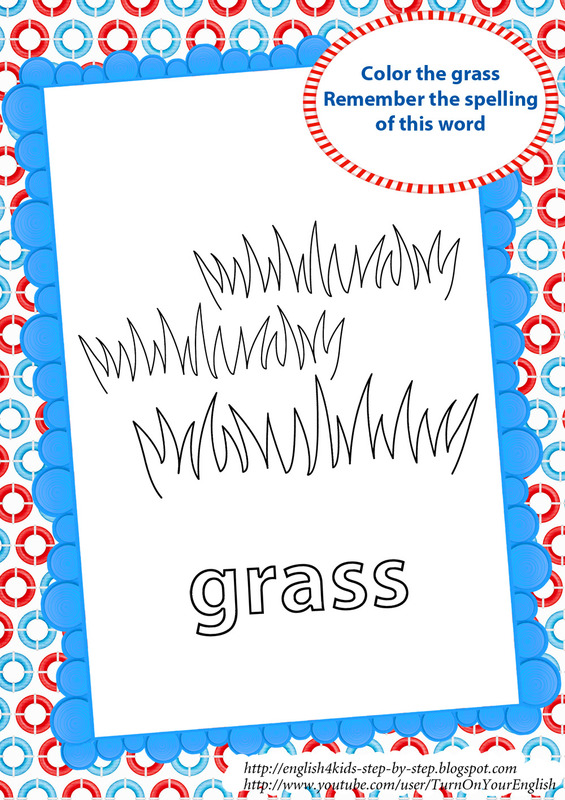 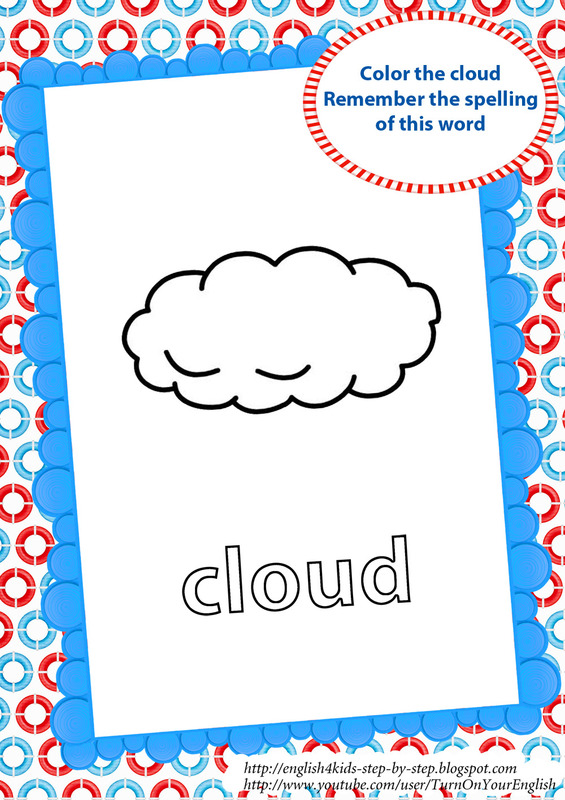 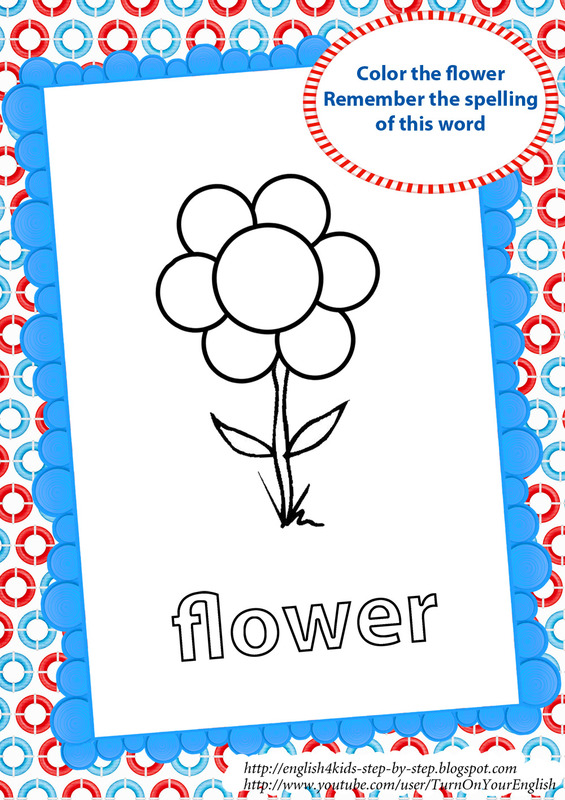 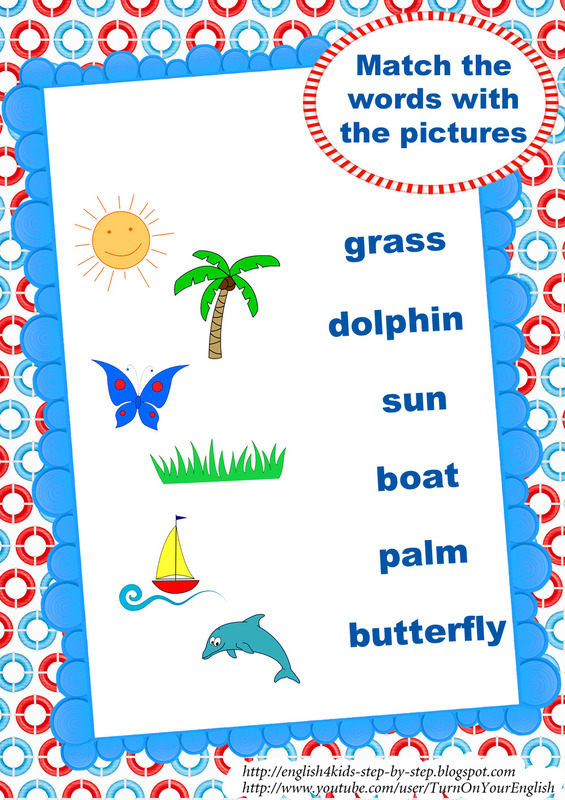 As the spring comes to an end and we are heading into the summer, it’s a great time for my little student to pick up some summer vocabulary right before they leave the kindergarten for vacations and the future school year. 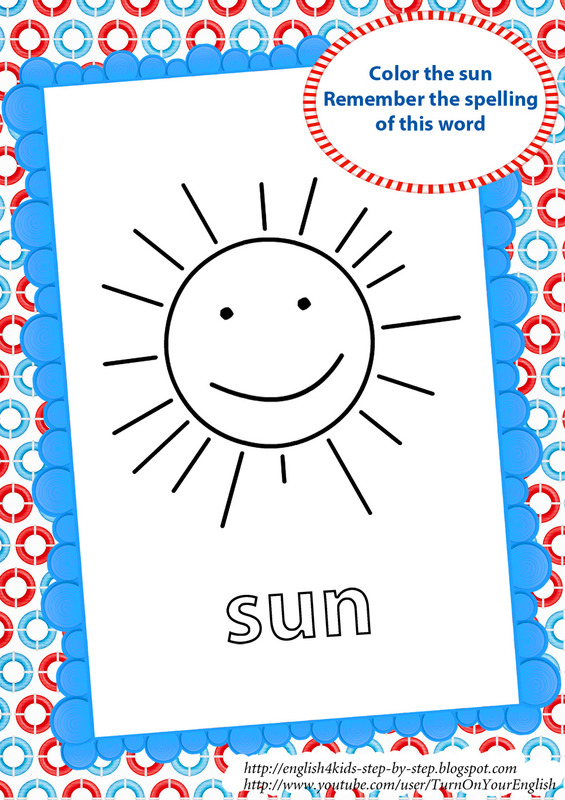 My favorite way to introduce the new vocabulary and help kids memorize words is, of course, song singing. 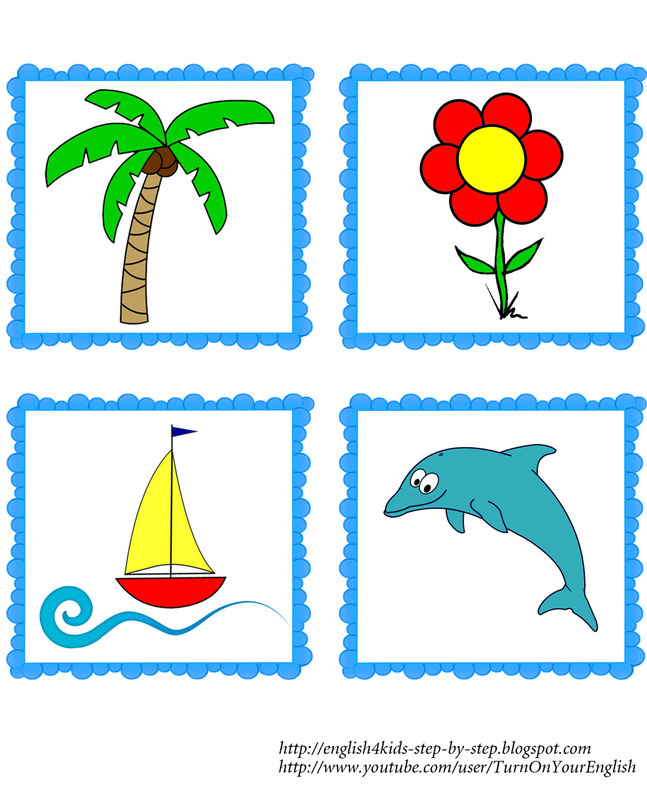 Since I teach English as second language to preschoolers who oftentimes have hard time speaking even their native language, I use extremely simple songs. 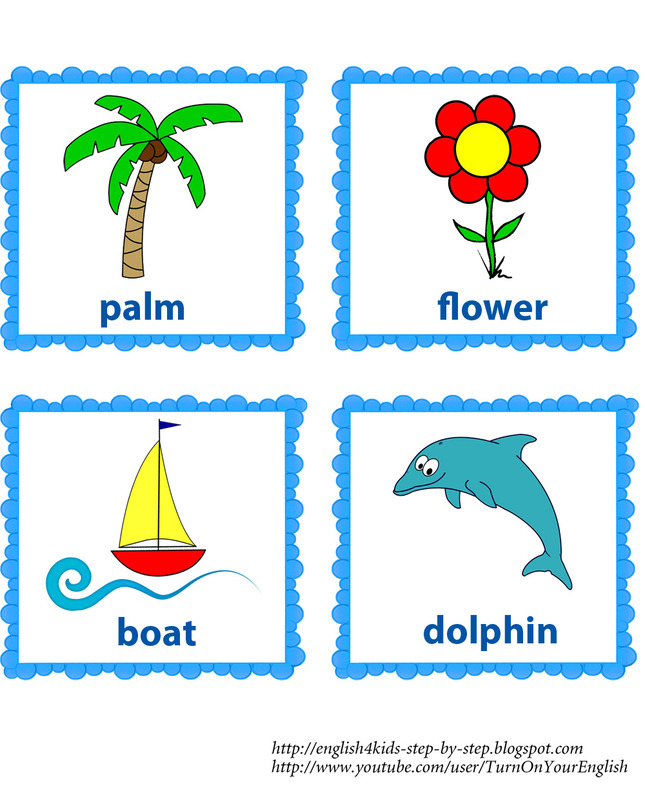 Sometimes my English teaching songs have no rhyme because, as I believe, when it comes to teaching language to little kids rhyme is not as important as the beat, activities and movements children do while singing. 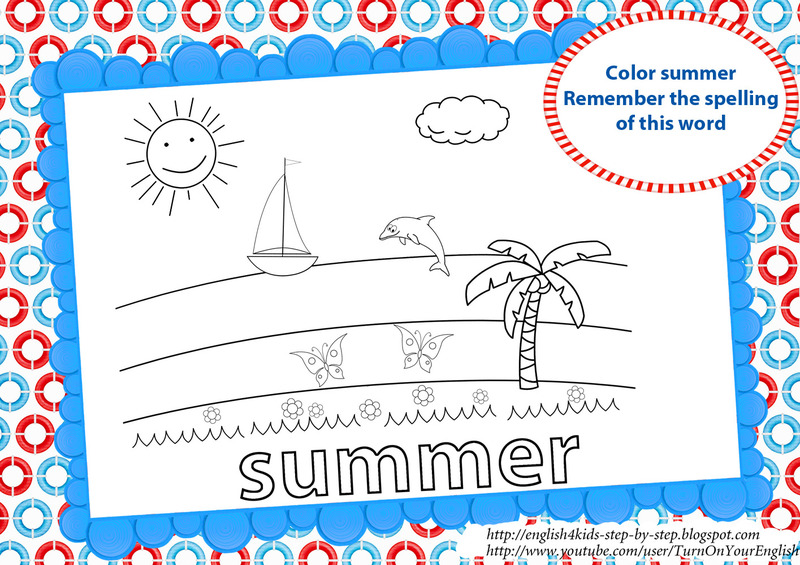 So I would like to share my song about summer. 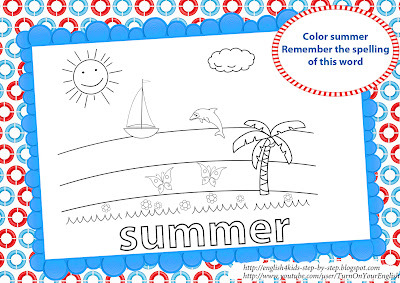 Summer is a wonderful season full of fun, and every child looks forward to enjoying long summer days, nice weather and vacation somewhere by the seaside, in the forests or elsewhere. 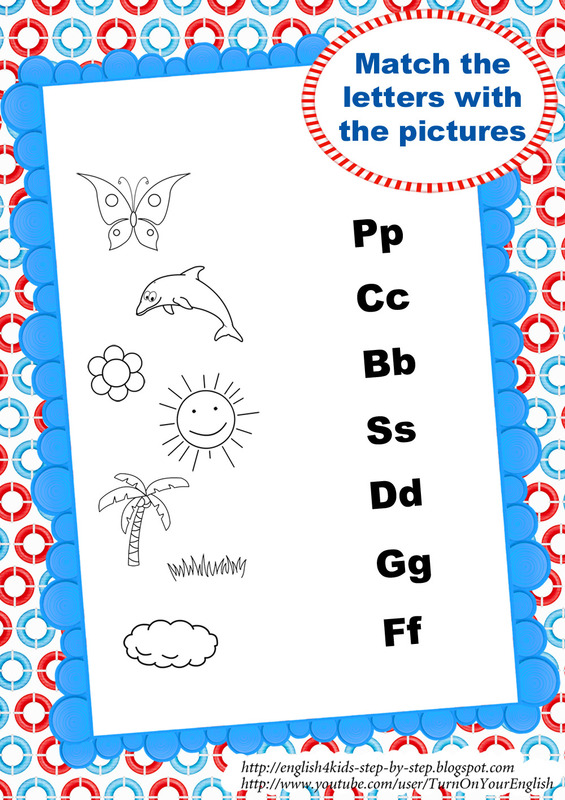 In this song I tried to convey the atmosphere of the season so that the children have fun singing and learning new words. And as I said this song is one of my extremely simple songs because it was specially created for little kids who have just begun learning English or even those who have never studied English before. 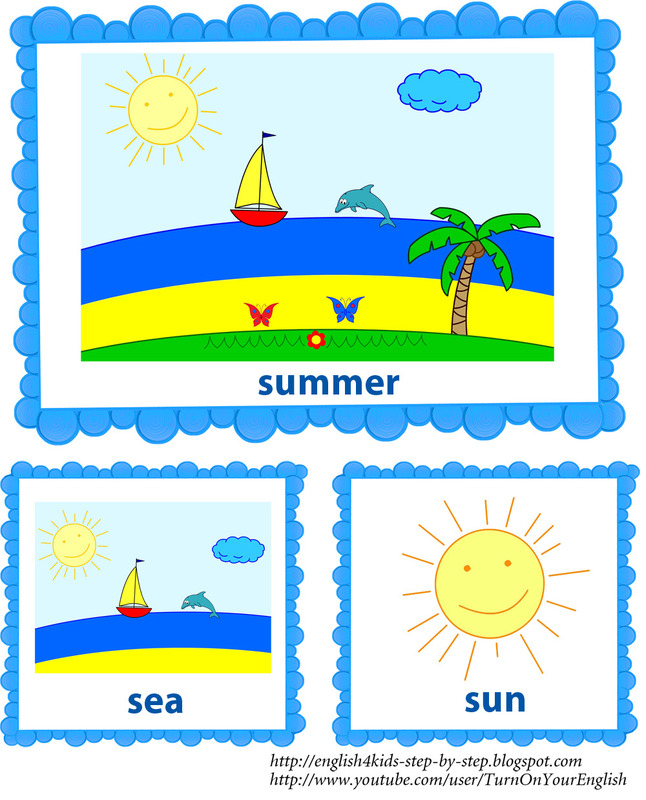 You too, dear fellow teachers, can use this song during your standard lessons as well as during summer school or a summer camp program. 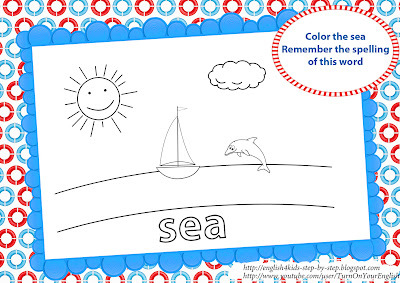 I like deep blue sea. I like green, green grass. To enhance the language learning I suggest using the following teaching materials with the Summer Song. 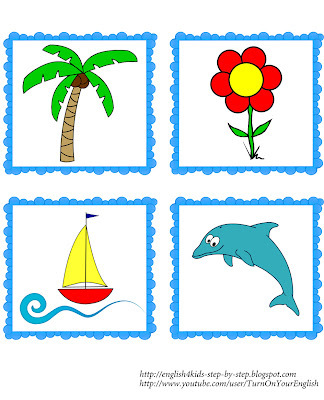 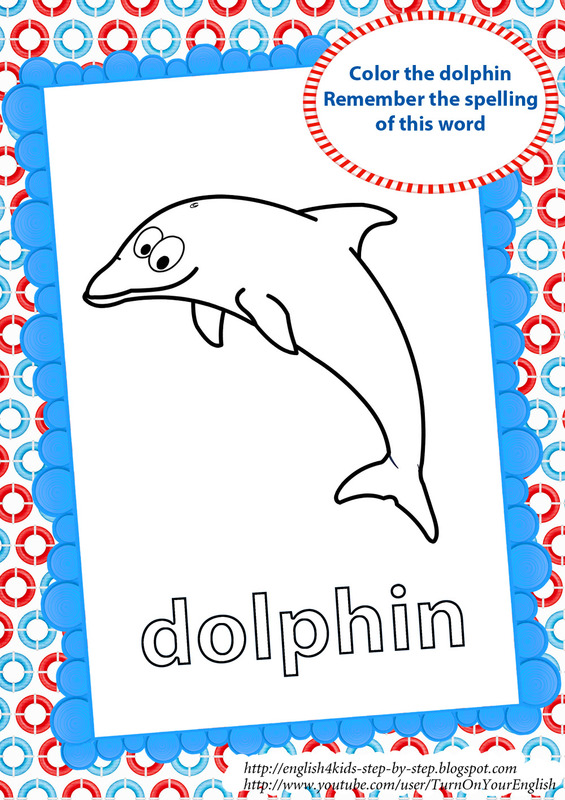 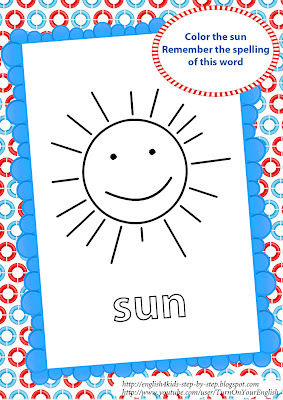 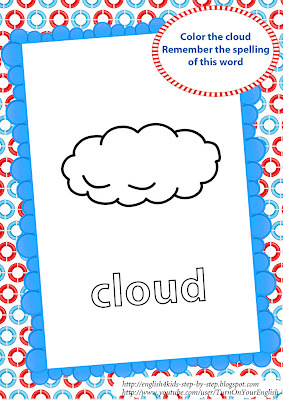 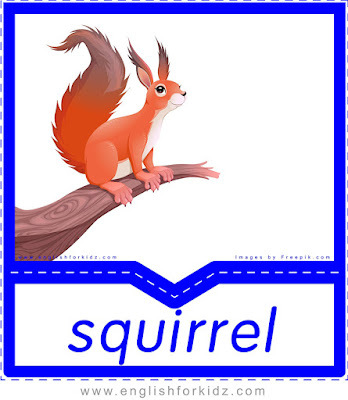 Here are a few Summer Song flashcards to be used while learning the vocabulary. 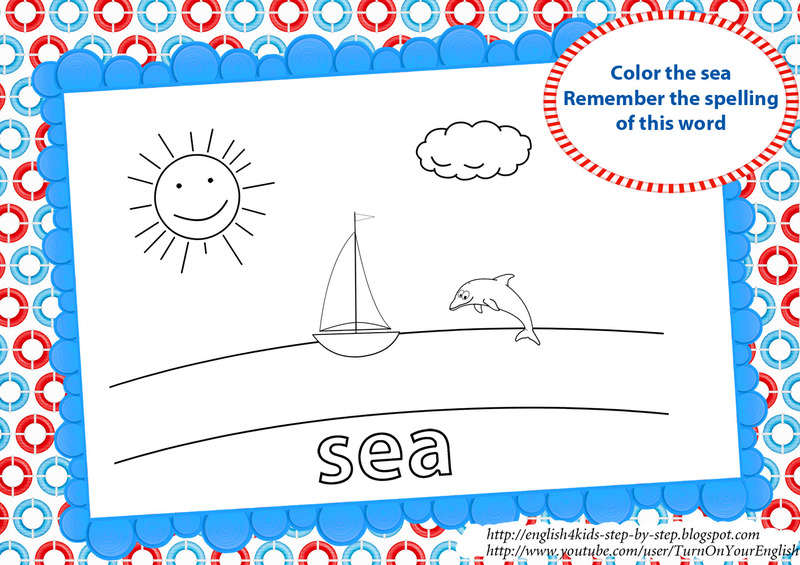 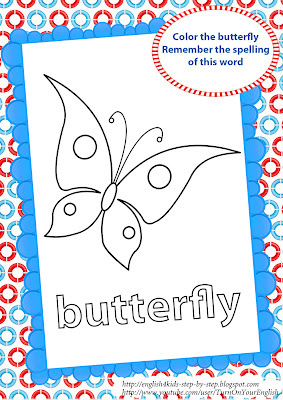 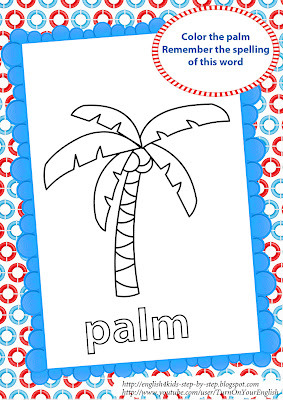 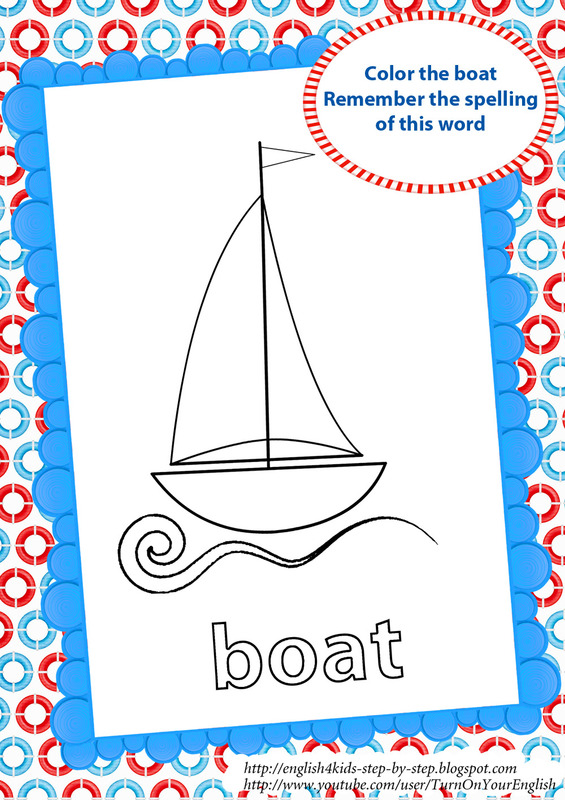 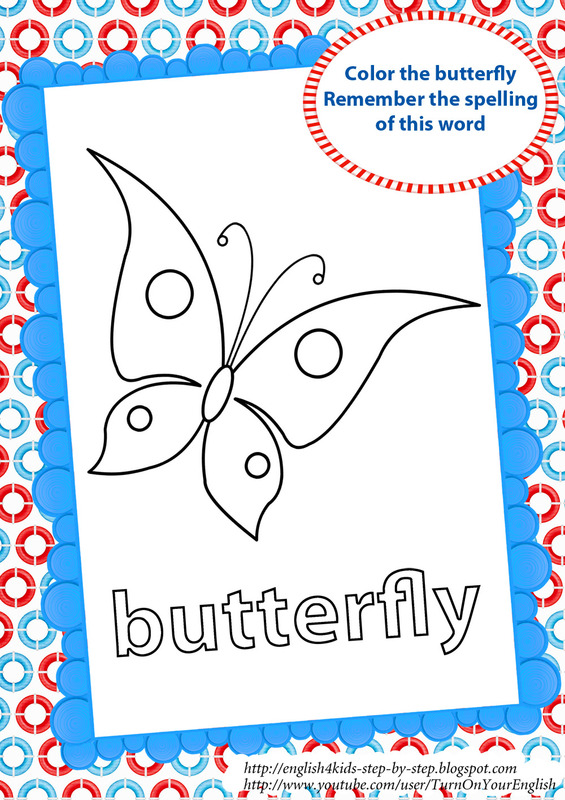 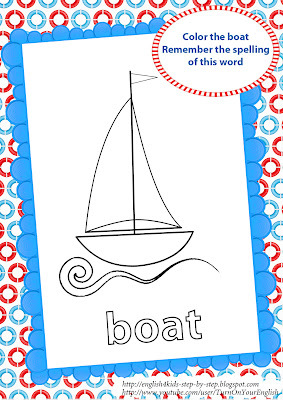 There are some coloring pages designed for little children to help them develop their fine motor skills as well as remember the spelling of the summer related words introduced in the song. 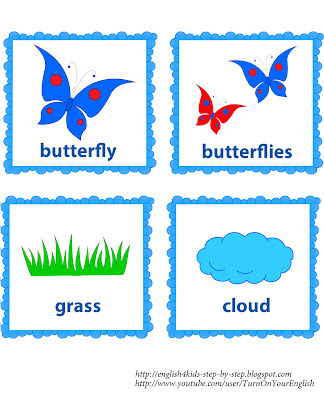 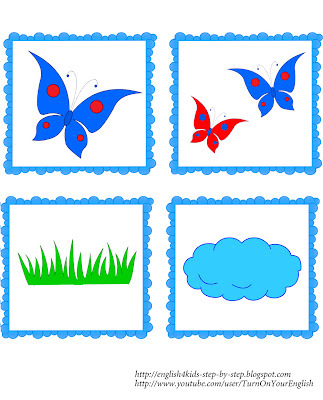 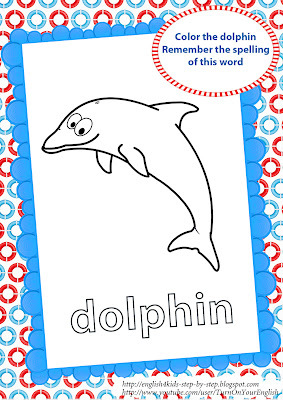 For older children I can offer some worksheets to improve their English language skills. 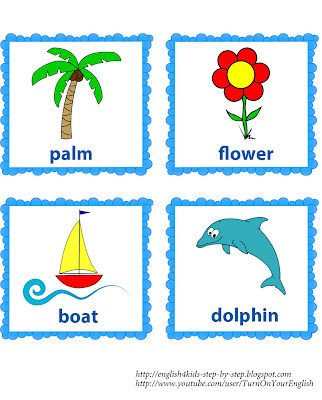 Worksheet 1: This task aims at developing kids' ability to associate letters with their sounds. 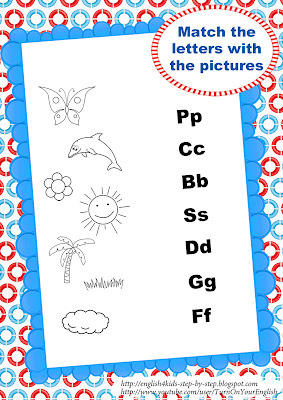 Children try to connect the pictures with the letters they begin with and then color the images. 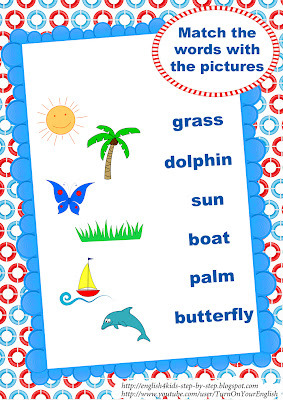 Worksheet 2: With this worksheet kids are asked to match the words with the pictures representing the summer vocabulary.